About Us / Timeline | Griffin Oil and Propane | Suffok Energies, Inc.
1938 – William P. Griffin purchased what would become Griffin Oil Company from Sinclair Refining Company. Mr. Griffin was an employee of Sinclair and purchased the local Suffolk branch after relocating from Richmond. 1949 – Mr. Griffin’s oil business grew enough to require its move to our current location on Holland Road in Suffolk. 1976 – Wayland T. Pond III, a Suffolk native and local banker, purchased Griffin Oil Company. 1989 – Griffin Oil Company diversified into the Bulk and Package Lubricants business as a BP Lubricants distributor. 1995 – Griffin Oil Company diversified into the propane business becoming Griffin Oil & Propane. 1999 – Griffin Oil & Propane became a Master Distributor for BP Lubricants in Southeast Virginia. 2005 – Griffin Oil & Propane purchased Tidewater Propane in Surry, Virginia. 2007 – Griffin Oil & Propane purchased Reginald E. Brothers Oil Company in Suffolk, Virginia. 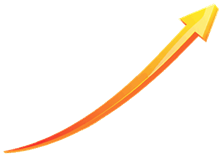 2008 – Griffin Oil & Propane purchased Parker Fuels in Wakefield, Virginia. 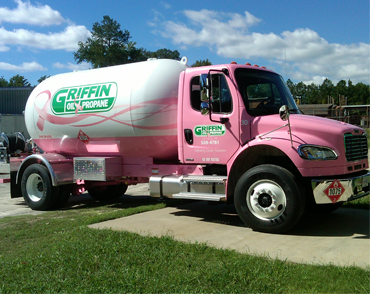 2010 – Griffin Oil & Propane introduced its Pink Propane Truck; donating 1 cent per gallon to cancer awareness.